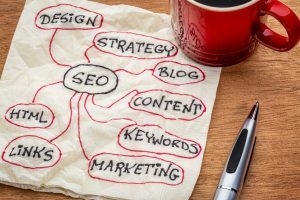 Why Is SEO So Important For Your Business? If you’re working on developing a new marketing plan for your business, one of the things you absolutely can’t overlook in today’s day and age is digital marketing. Having a strong online presence is key to ensuring your business sees as much success as possible, and if you want a strong online presence, you’ll need to work on your SEO. But what is SEO, and why is SEO important for businesses? SEO, or search engine optimization, is what determines how high you rank in search results on popular search engines. Search engines, simply put, look at what content and code is involved on your web page to determine how relevant your content is to an internet user’s search. Based on that information, it will rank your page, which is why you might not show up on the first page of google results for every search conducted. If your website uses good SEO practices, you’re more likely to rank higher for keywords related to your products and services. If not, you might not be anywhere near the first page of results. Simply put, search engine optimization is what helps users find your business over your competition. By optimizing your content for the right keywords, you’ll be able to drive the right kind of traffic to your business to help you convert internet visitors into recurring customers. This is especially true for people looking for local results in their internet searches. Half of all mobile searches are conducted in hopes of finding local results, and 61% of those searches result in a purchase. By using the right search engine optimization techniques on your website, you’ll be able to capitalize on these local searches. The higher you rank in your search engine results, the more likely it is people will visit your website, and the more you have the right people visiting your website, the more likely it is you’ll see an increase in regular customers. Search engine optimization can be tricky to get right, so you’ll want to hire an internet marketing company to help you out. For more information on search engine optimization for your business, contact MRN Web Designs today.